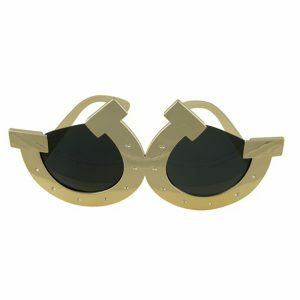 Giddy up and go with the Horseshoe fancy-frames. 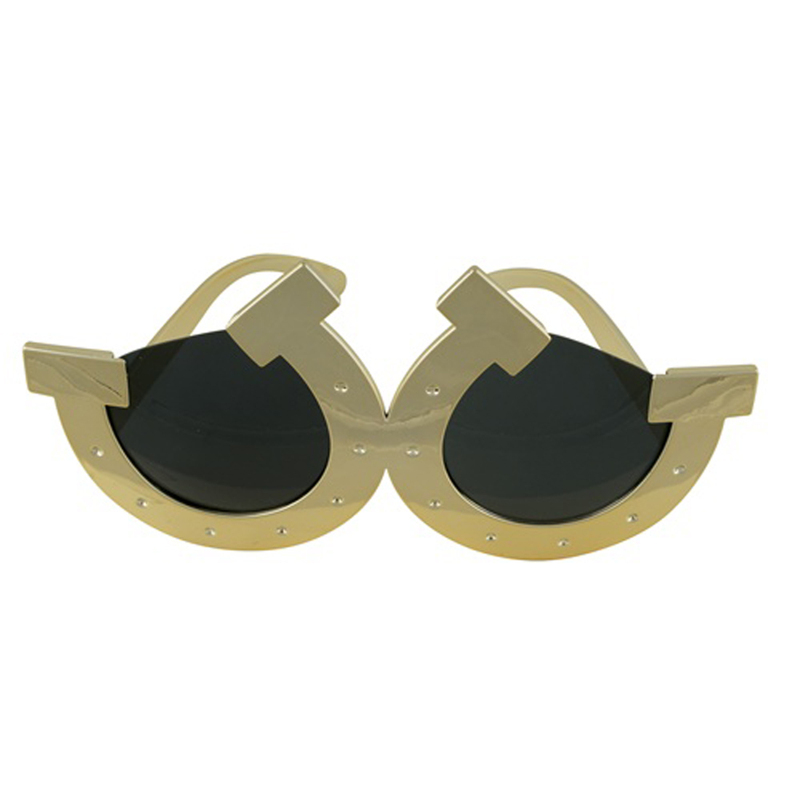 Gold plastic with 2 large horseshoes surrounding the lenses, with diamond-shaped accents. The lenses are tinted. They fit a full head size.